The Jagannath Yatra, a chariot festival associated with Lord Shri Krishna’s divinity has a great significance in Indian History. It is a fabled festival organized at Puri, in Odisha. It’s the core tenet of Hindus that every year, Lord Jagannath (Lord Shri Krishna) wishes to visit his birthplace, Mathura for few days. 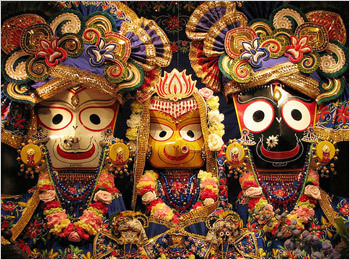 This festival honours, the Lord Jagannath along with his sister Goddess Subhadra Devi and his elder brother Bala Bhadra. Our Puri tour packages will allow you to indulge in this glorious cultural festival of India. Jagannath Rath Yatra is an annual event celebrated in the honour of the Lord Shri Krishna, (Lord Jagannath) who is an incarnation of Lord Vishnu. According to the Gregorian Calendar, it falls on the second day of the lunar fortnight, between the months of June –July. The preparation of chariots commences on Akshaya Tritiya. The wooden idols of these deities, placed in the massive chariots are taken from Jagannath temple to Gundicha temple. It is called as Gundicha Yatra and Navadina Yatra. The important sanctuary of the Lord Jagannath, Gundicha Temple, is situated towards the Badadanda highway. The distance covered from Jagannath Temple to Gundicha is 2,688.0696 meters (8327 feet). The temple surrounded by a wall is adjoined to the garden. The idols in the decorative chariots are accompanied by conches, that can be heard all around. Before the chariot festival commences, the idols are given for Snana Pornima and they will be placed be in a seclusion until the day of the procession. This event is called Ansara. The king sweeps the chariot with a gold-handled broom. Later, the chariot is decorated with flowers by the king. The sandalwood is sprinkled on the chariot, which is called as the Chandan Yatra. Chhera Pahara, the holy ritual is performed by the royal successor of Orissa, on the day of the procession, where devotees flock around the temple. During Chhera Pahara, the King brings the three deities from the temple and places the deities in the chariot. The deities remain at the Gundicha Temple for 9 days, which is considered to their aunt’s place. Later, they get back to their home. This journey is called the ‘Bahuda Yatra’. The idols are adorned with new clothes in the evening in the Lord Jagannath’s temple and this is called as Suna Vesa. The deities are again placed into the sanctum, sanctorum as an end to the Rath Yatra of Jagannath. Jagannath Yatra, the Chariot festival is known to be one of the most-awaited processions, which is celebrated greatly once in a year, in India. On the day of Puri Yatra, we see large number of tourists taking part in the event, with a zeal. All the three chariots are pulled by devotees. It is believed to be a religious act. It also attracts tourists from all over the world. The ISKCON foundation, takes this event to an international level. The Lord Jagannath’s Chariot, Nandighosa is 45.6 feet in height and has 18 wheels. 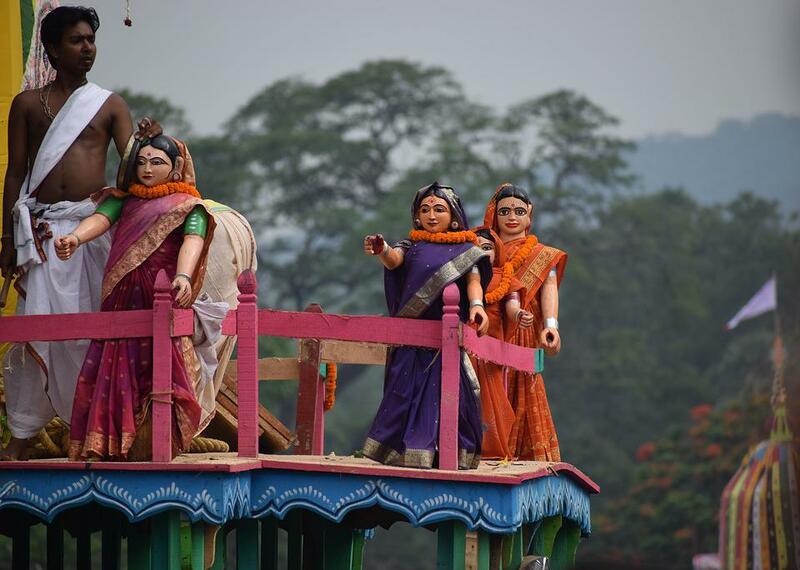 The Lord Bala Bhadra’s Chariot, Taladhvaja is 45 feet in height, with 16 wheels. Lastly, Goddess Subahdra’s, Devadalana is 44.6 feet in height and it has 14 wheels. 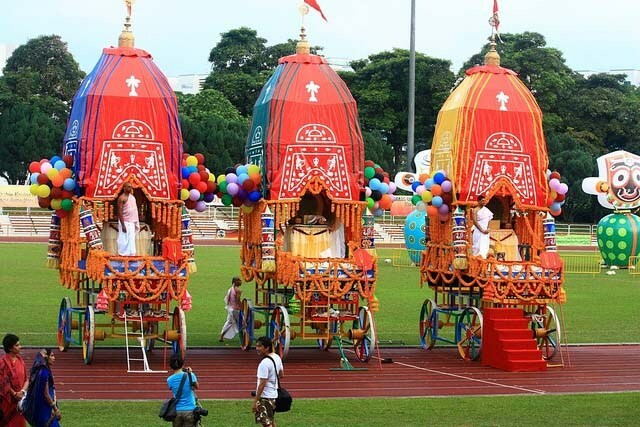 The chariots are decorated in a beautiful manner with the help of motifs. Once the procession begins, the chariot of Lord Bala Bhadra is pulled, followed by Goddess Subhadra and then the Lord Jagannath. The distance between the two temples is just 3 km but the enthusiasm of the devotees with conches, chants and drum beating, takes few hours. These 9 days, the devotees seek blessings of the three deities. Poda Pitha, a sweet pancake is served while returning from the Yatra, at the Mausi Maa Temple. This pancake is believed to be the food of a poor man and it is said that the Lord is also fond of this sweet pancake, Poda Pitha. The festival of togetherness, is believed to be initiated in the period of Svarachisha Manu, the second Manvantara. There was a legend who tells us that, it continued until the Lord Brahma’s second life had ended. Inscriptions of Lord Jagannath and this temple was also found in the great epic ‘Ramayana’, which was written by Rishi Valmiki. Lord Rama was preparing to leave the earth. 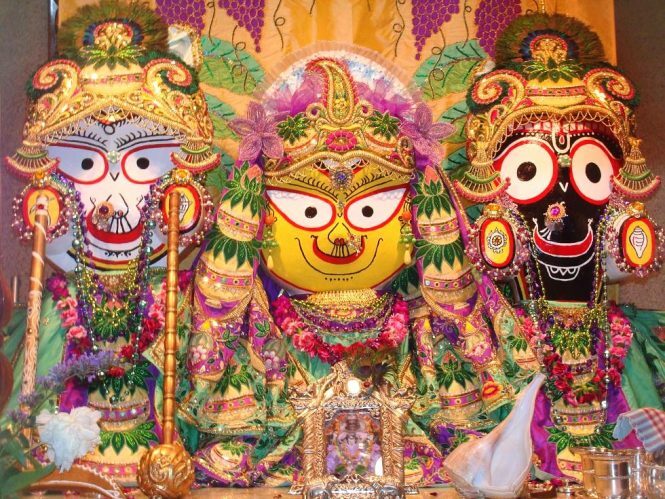 He asked Bibhishana (younger brother of Ravana) to worship, Lord Jagannath, the Lord of the Iksvaku dynasty. Both Lord Rama and Lord Jagannath are considered the avatar of Lord Vishnu. 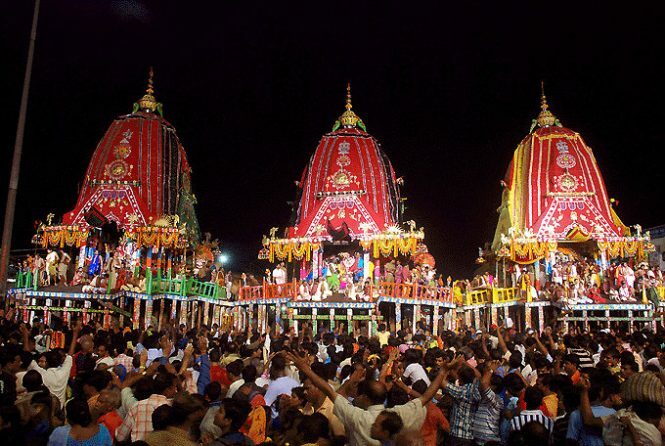 The festival of Ratha yatra, which is now celebrated in Puri, is derived from the ‘Skanda Purana’. Puri is now a major destination for both tourism and religious groups. It is famous for its religious sanctuaries, seascape and historic antiquities. The city is now seen in the world map of tourism for its fourth Dham of Hindus and Kalinga’s architecture. 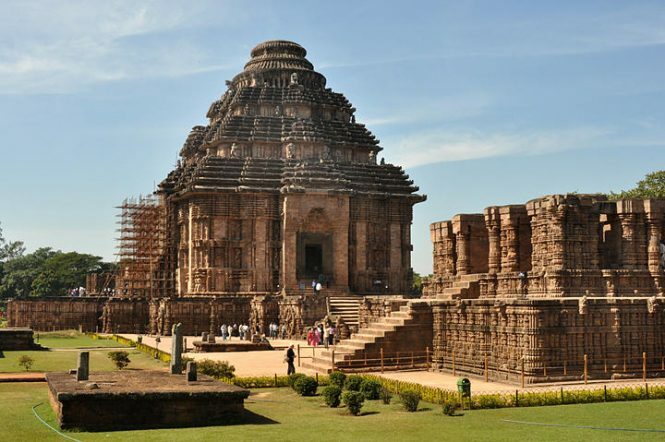 Besides the Lord Jagannath temple, the Sun-God at Konark is considered as one of the most major pilgrimages in India. 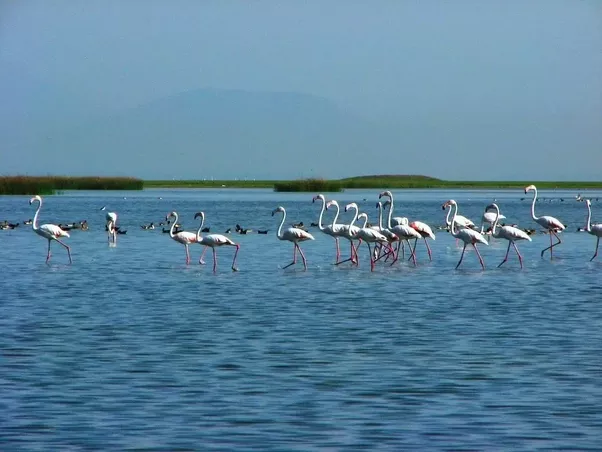 One of the largest brackish lakes, the Chilika lake, holds a Seascape beauty. It offers a resort for birds that migrate from different parts. The climate of the city and the safest beaches are embracing the people throughout the year. Satapada, seven islands is a resort on the southeast side of Chilika lagoon. ‘Sata’ means seven and ‘Pada‘ means village. This lake meets the Bay of Bengal, which covers an area of 1,165 square Kilometers over the district of Puri, Khurda and Ganjam. From Puri, one can visit the World Heritage Monument-Konark Temple, on the Marine Drive. One can enjoy the scenic beauty of the Marine Drive while driving. On the way, we find a few spots like Beleswar and Ramachandi. On reaching Konark, one adores the beauty of the sea at Chandrabhaga, which is known as Tirtha. Now you can enter in the marvels of time and space, the elegant stone house of art and architecture – the Sun Temple of Konark. The Biju Patnaik, the airport in Bhubaneswar is 60 km away from the city. One can hire a cab to reach the airport. The airport is connected to the cities such as Nagpur, Kolkata, Delhi, Mumbai, Hyderabad, Chennai and Vishakapatnam. Puri’s last stop on the Coast Railway is connected to the important cities of India, such as Delhi, Tirupati, Kolkata, Mumbai, and Ahmedabad through direct express. Puri is well-connected through a network of roads. One can avail the bus from Cuttack and Bhubaneshwar. The buses are available for every 10-15 minutes. There are also few buses available for Konark, for every 20-30 minutes. Hiring a cab would also be a better option. Thus, the ritual associated with Chariot Festival denotes that everyone is equal to the God irrespective of creed or colour. 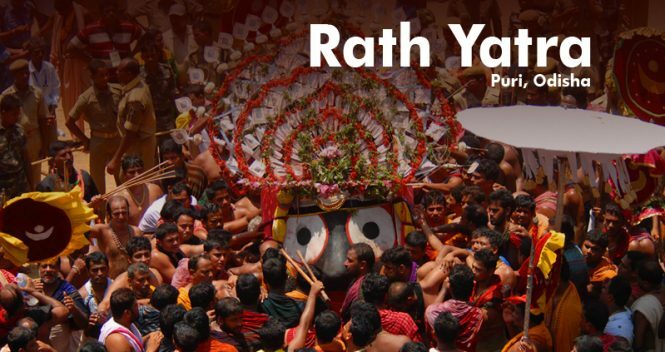 Check out our best Puri tour packages to be a part of Jagannath Rath Yatra.